Christmas and New Year may be behind us but there’s still reason to celebrate as today is Epiphany, a holiday widely celebrated in France. Commemorating the twelfth day after Christmas, when the three Kings come to pay tribute to the baby Jesus, a traditional French delicacy called Galette des Rois is served. 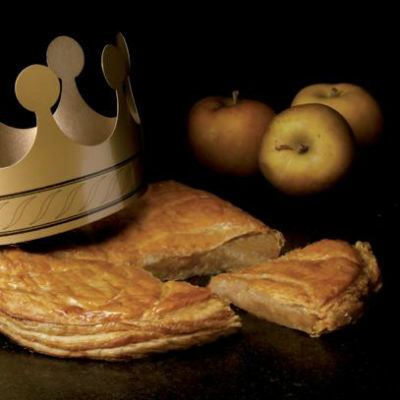 Galette des Rois is a flat, round cake with an almond cream filling and, according to tradition, if you find a tiny figure in your slice then you are crowned king or queen for the day, and wear a golden crown. PAUL bakery is celebrating Epiphany by freshly baking this delicious dessert every day until the end of January, with both almond cream or apple filling, and each one is complete with a charm hidden within. It is available from PAUL at £13.95 and serves 6/8 portions.